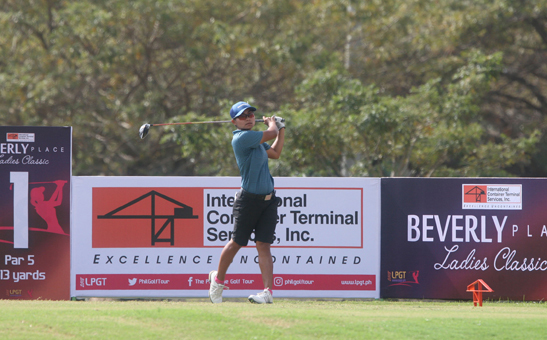 It will be a toss-up among the leading players of Taiwan, Thailand and the host country as they set out for a duel of shotmaking, iron play and putting in the ICTSI Manila Golf Ladies Classic, which gets going tomorrow Wednesday (April 10) at the Manila Golf Club inside Forbes Park. Thailand has also underscored its readiness to go for the crown, sending 39 players, led by veteran Yupaporn Kawinpakorn, who is seeking a second LPGT crown after dominating the Pradera Verde leg of the circuit last December. Babe Liu, the No. 3 player in the current LPGA of Taiwan (TLPGA) ranking, along with joint No. 5 Hsin Lee and Lin Tzu-Chi and last year’s LPGT/TLPGA Midlands leg winner Ching Huang banner the 25-strong player roster from Taiwan, all ready to slug it out with the best in the $100,000 championship put up ICTSI and serving as the seventh leg of the Ladies Philippine Golf Tour seventh season and the fifth stop of this year’s TLPGA. Thanutra Boonraksasat, who turned back Princess Superal to snare the last LPGT crown at Manila Southwoods last month, is also back for a shot at a second straight championship in the event organized by Pilipinas Golf Tournaments and sanctioned by the TLPGA. LPGT leg winners Onkanok Soisuwan, Supakchaya Pattaranakrueang and Wannasiri Sirisampant along with Chatprapa Siriprakob, Saraporn Chamchoi and Ornnicha Konsunthea are also coming into the event in top form and brimming with confidence, guaranteeing a spirited battle for top honors in the event backed by Custom Clubmakers, Meralco, K&G Golf Apparel, BDO, Sharp, KZG, PLDT, Empire Golf and Sports and M.Y. Shokai Technology Inc. But a compact nine-player local side will be more than ready to defend its turf with Superal hoping to recall her fierce form on a course that best suits her game with the backing of fellow former Symetra Tour campaigners Mia Piccio and Cyna Rodriguez along with Chihiro Ikeda, Daniella Uy, Marvi Monsalve, Alex Etter and Gretchen Villacencio. Though relatively flat, the par-71 MGC is expected to provide a different kind of challenge for the competing 97-player field, including seven amateurs, with its narrow fairways, hazards and fairways and greenside bunkers that come into play in most holes. But out to spoil the Taiwanese, Thais and locals are Japanese Yui Noritomi, Sarah Yamaki, Airi Tsujioka, Mina Nakayama, Mika Yamashita, Mayumi Chinzei, Wakana Kinjo, Yoshimi Tamura, Mayuna Furukawa, Ami Sonodo, Mimori Shii, Minami Oshiro, Aya Ishikawa and Ayano Mochizuki along with Isabella Leung of Hong Kong, Singapore’s Amelia Yong and Sock Hwee Koh and Malaysia’s Genevieve Ling.